1. The dose makes the poison. Almost anything is harmless in sufficiently small dose, and almost anything is lethal in sufficiently high dose. 3. It was a meta-analysis of other studies, many of them studying the effects of water with naturally occurring fluoride levels which were much higher than the typical 0.7-1.0 mg/L used for water fluoridation in the United States. 4. InfoWars = Alex Jones = mind pollution. 5. The dose makes the poison. Why are you harping on ONLY fluoride?!?!? I can’t see from the abstract what the dose is… but my guess is that its way less than what you’d get in drinking a LIFETIME supply of fluoridated water. ITS ALL ABOUT DOSE… if you eat too many bananas the potassium could kill you (granted its a lot, like 30 a day, but still possible) Same thing with Fluoride, there are levels your body can process and levels it can’t. And cherry piking your “favorite” thing to harp about out of a study that lists 11 other chemicals is rather disingenuous as well. What some fluoridated retards need to understand is that not only water has fluoride. 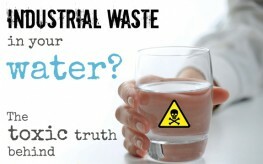 A lot of other drinks are made (with) fluoridated water as well. Another thing is, hydrofluorosilicic acid, sodium fluorosilicate, and sodium fluoride are not naturally occurring but toxic waste. WTF is toxic waste, regardless of how little it is, going to do for my body. NO THANKS. If you are ok with it, form a community, move altogether in the same area and request 100% of the fluoride in the water to be delivered to you. Florine is similar to chlorine , chemically , and they put it in water. Another conspiracy, I guess. The author of this article is either obtuse, being deceptive, or both. This is not about trace quantities of fluoride routinely added to drinking water. It is about industrial contamination. “Harvard’s The Lancet”? A bit of a giveaway, not even knowing what The Lancet is. 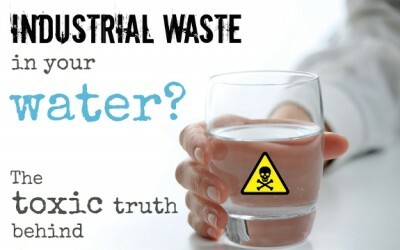 That is the only mention of fluoride, apart from in a list of new chemicals added to the list of industrial chemicals. The 2006 article in The Lancet, “Developmental neurotoxicity of industrial chemicals,” does not mention fluoride. That was the point of its being mentioned in the 2014 survey of the literature. In 2006, the list of industrial pollutants was lead, methylmercury, polychlorinated biphenyls, arsenic, and toluene. In 2014, the authors added manganese, fluoride, chlorpyrifos, dichlorodiphenyltrichloroethane, tetrachloroethylene, and the polybrominated diphenyl ethers. Are hydrofluorosilicic acid, sodium fluorosilicate, and sodium fluoride natural? Then they have no fking business inside my body. Period. why are we letting our elected by the PEOPLE representatives POISON OUR WATER AND US why are they doing this to us they all have full knowledge don’t they realise they are drinking this POISON as well or ARE THEY,DO THEY ALL KNOW SOMETHING WE DONT IS THIS AN EXTERMINATION ON THE HUMANS OF OUR EARTH.this crap is POISON and has no need to be in our drinking water,WE NEED TO HOLD THESE CRIMINALS TO ACCOUNT,IF THEY KNOW THEY SHOULD BE JAILED FOR POISONING HUMAN BEINGS PERIOD.I DO NOT WANT TO BE POISONED ANYMORE POLITITIANS. Oh good grief Anthony, what a tantrum. This article is poor because it does not site any references except the Harvard Lancet. What’s that? A school newspaper? certainly not a medical or dental peer reviewed journal article. Fluorine is one of the major ingredients in the controversial psycho-active psychiatric drug PROZAC (Fluoxetene Hydrochloride), and also in deadly Sarin military nerve gas. And there is chlorine in salt. Maybe understanding basic chemistry would be an advantage before you start implying things that are clearly beyond you. The Study that the Havard researchers referenced was investigating fluoride levels in water in rural China were the levels of fluoride are 10times higher than the recommended safe levels used by Western countries. It’s results are not transferable to the claims made here. Please share your source, to back up your statement, thanks a lot. It’s all accumulative and builds up in the human body, and the human body has difficulty expelling that particular chemical from the body, meaning it’s building up over time, which would suggest that the effects would be less, not non existent. You provide no facts or research to support your idea. How long is this accumulation? The point is, if it takes 20 years to build up to a toxic level, that would remove it as a cause for these cognitive problems in children. Research, please. Fred, please share your source to back up your statement. How do you know which water supply was being investigated in the referenced study? Actually there is a place in California that has such a high fluoride content that the residents are advised by posted notices to not ever drink the water unless boiled. Boiling water with fluoride additive concentrates it more .I am a testament to what fluoridated water does to peoples health. It has almost totally destroyed my once good health and immune system.